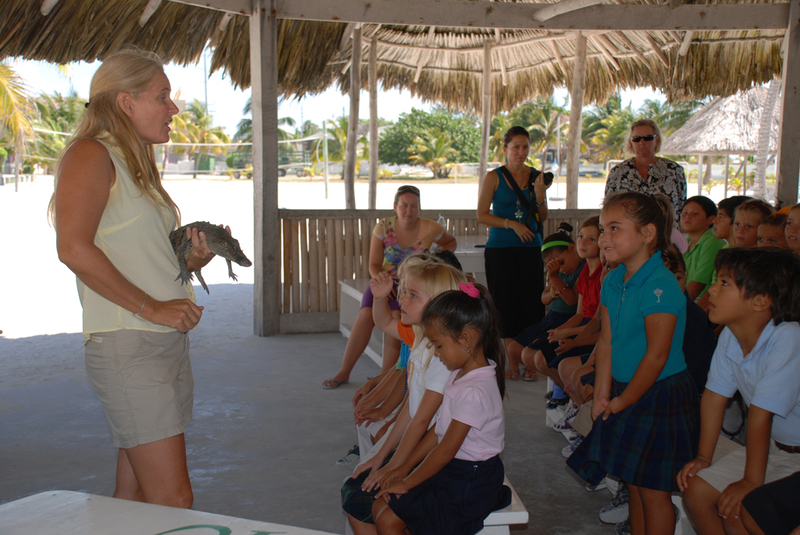 Press Release - American Crocodile Education Sanctuary - August 23, 2011- On Sunday the 21, 2011, ACES/American Crocodile Education Sanctuary set a net trap in the lagoon of the San Juan area where the reported croc attack on Mr. David Tuts had occurred the previous morning. At 10pm ACES received notice that there was a large croc in the trap. 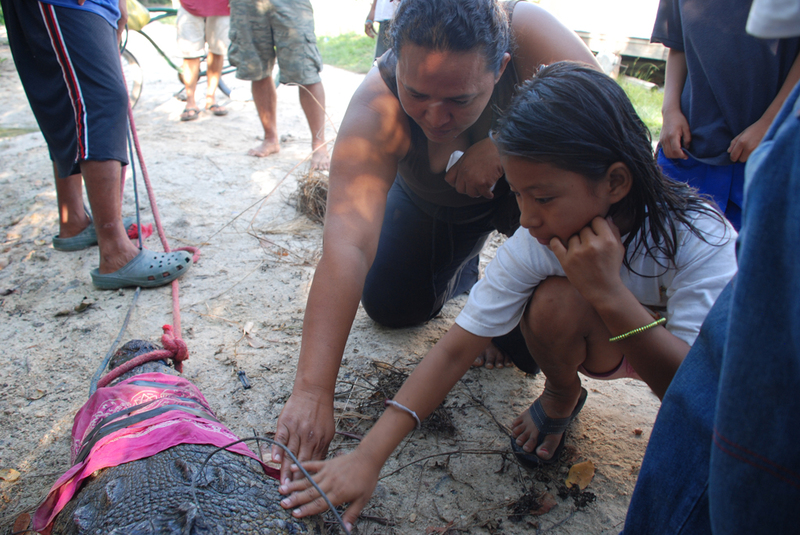 The ACES team raced to the net where a large, 13 foot, male, American crocodile was trapped. 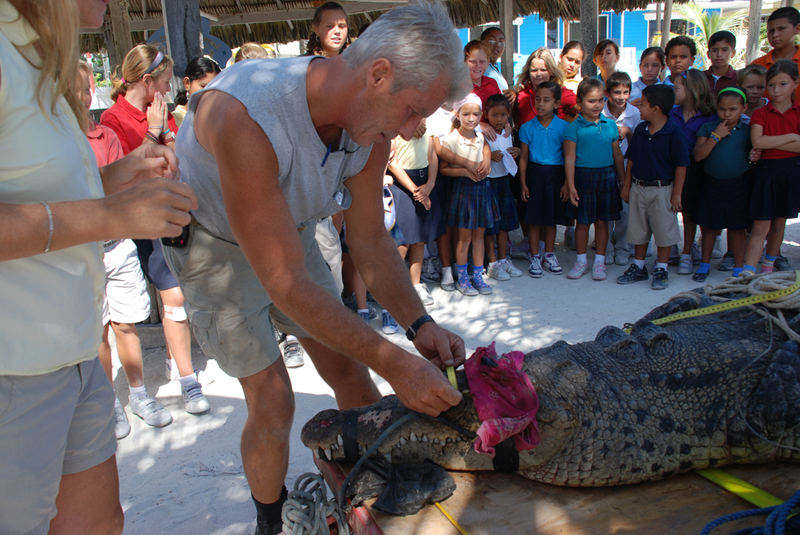 Upon examination it was determined that the croc was tagged #32 (and named Barry) from a previous ACES capture and release effort in April 2011. Although the animal had been relocated to a wild area several miles away it had returned to its original home, as some crocodiles will do. 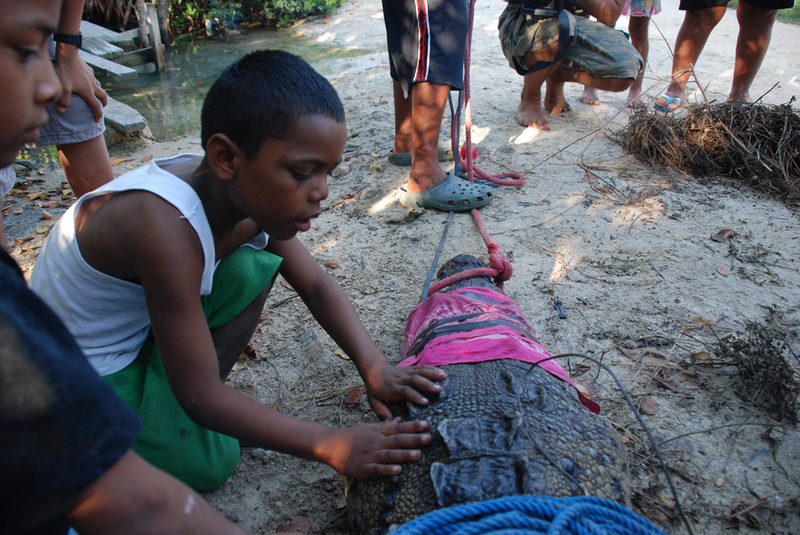 In order to determine if this crocodile is responsible for the attack, the ACES team plans to interview Mr. Tuts as soon as he is available and take measurements of the bite diameter. 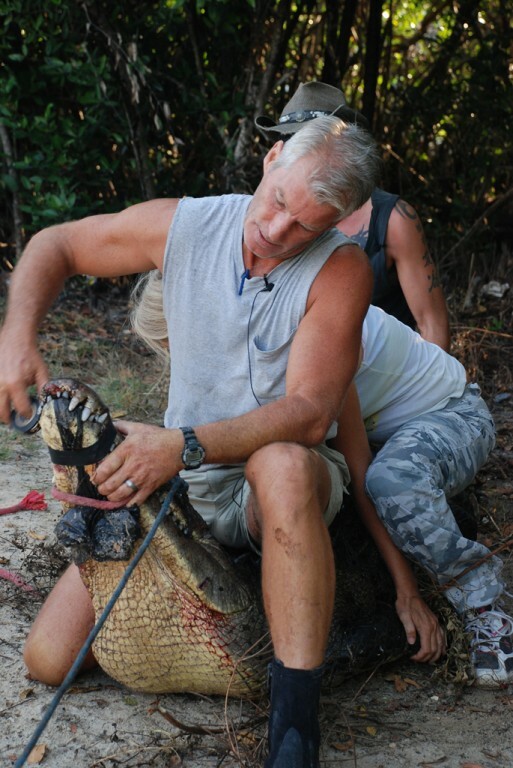 This will aide in determining if the large 13-foot croc is indeed the same animal that attacked him. 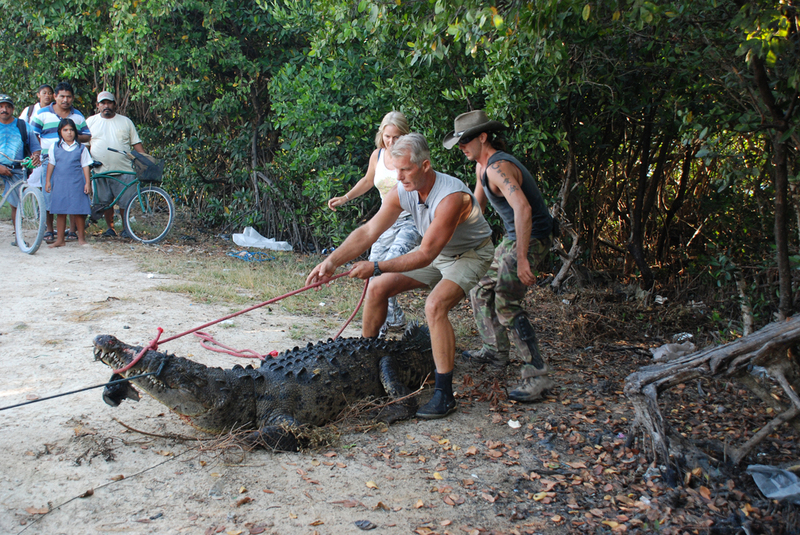 Croc # 32 AKA Barry was first captured in April 2011 when ACES received complaints that the animal was eating local dogs. ACES moved Barry to a small holding facility north of San Pedro where they are currently building a new sanctuary. 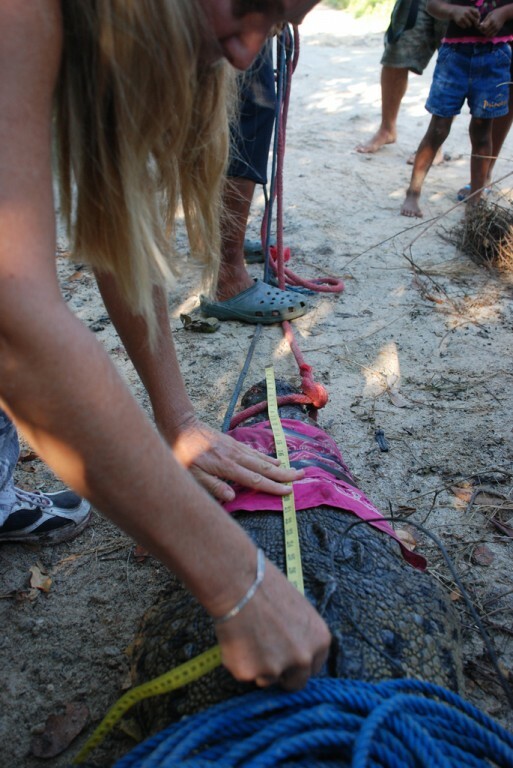 The small containment structure is intended for another croc that is injured named Jaws. This habitat was not built for such a large croc, and if ACES does not soon receive donations to complete a larger habitat for him, Barry may have to be euthanized as he is too dangerous to be re-released. 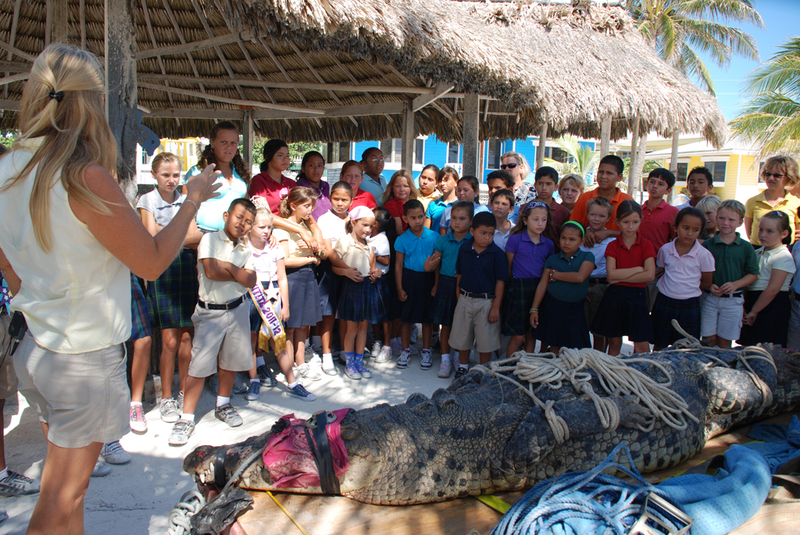 Normally ACES would have taken Barry to their facility in Punta Gorda and the croc would have been contained in a large natural habitat that was securely fenced for people to view safely and learn about crocodiles and their importance in Belize's ecosystems. Tragically the sanctuary succumbed to arson last September and this is no longer an option. Without a humane and proper holding facility for these large problematic apex predators, the only means of ensuring safety is to relocate them and hope they don't return to populated areas. The ACES facility in Ladyville is currently under construction and with one 14 foot male already in captivity there, it is not possible to humanely house another large, dominant, male croc like Barry. If the two crocs where placed together they would most likely fight to the death. 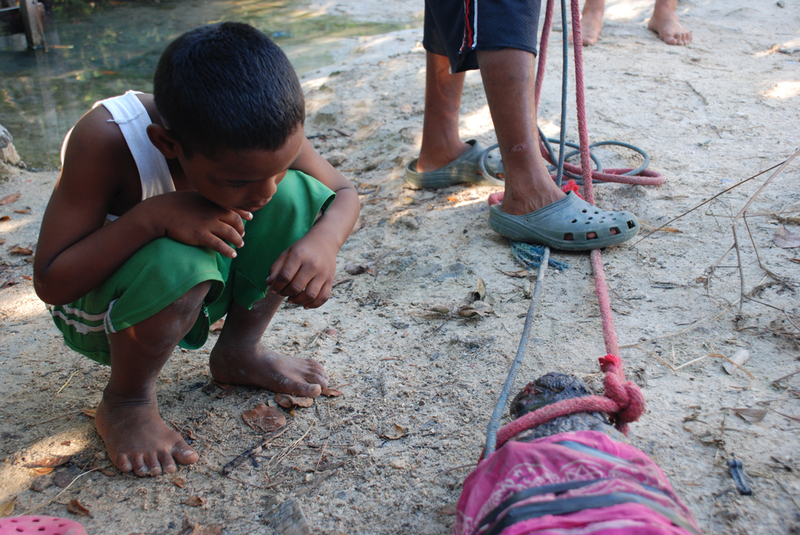 The reason this croc attacked a human was because he has been illegally fed by humans. Once an apex predator is fed by a human being, whether a bear, lion or a crocodile, they lose their natural fear of humans and learn immediately to associate humans with food. This association is so strong that the animal will seek out humans for food and in turn the human often becomes the food. ACES is currently trying to raise funding for a small croc refuge on the island to care for ill and injured crocs, and hold large problematic crocs, such as Barry, until they can be transported to larger habitats at the ACES in Ladyville as construction allows. One habitat on the island is partially finished by a donation from the Plunkett Family of the Doris Wilderness while the property is provided by Mario Cervoni.